Oh my! 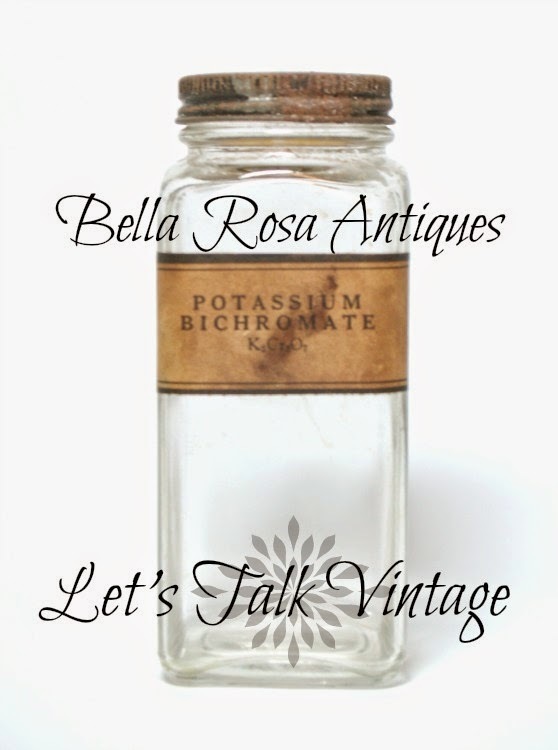 I must have selected the wrong date last week when I started working on my "Let's Talk Vintage" post. My apologies for the party happening a day early! It is supposed to run Tuesday mornings at 9am. Now that it is already out there, let's just have fun and go with it. 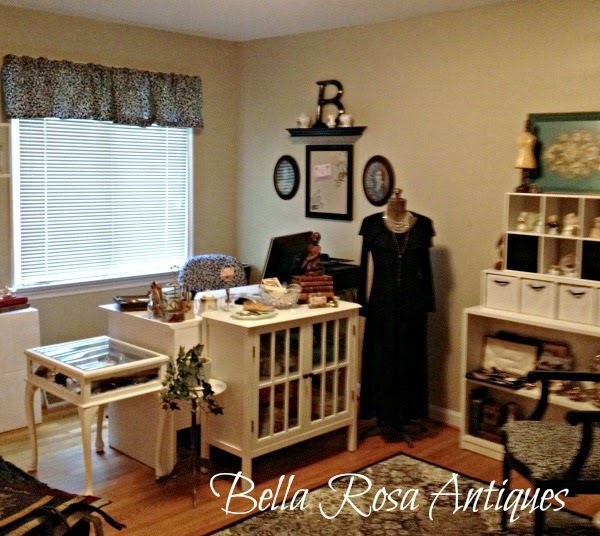 This past weekend I found a bunch of neat items but in this post, I am focusing on you! I'll get to my finds later on in the week. I'm curious to see what you found, created, or were inspired by. Cecilia of Thrift Store Addiction shared pictures from her trip to Texas Antique Week. It was hard to pick just one photo from her trip but these little dresses made from vintage linens had me at first glance. Adorbs! Two bits, four bits, hey! Six bits, a dollar! 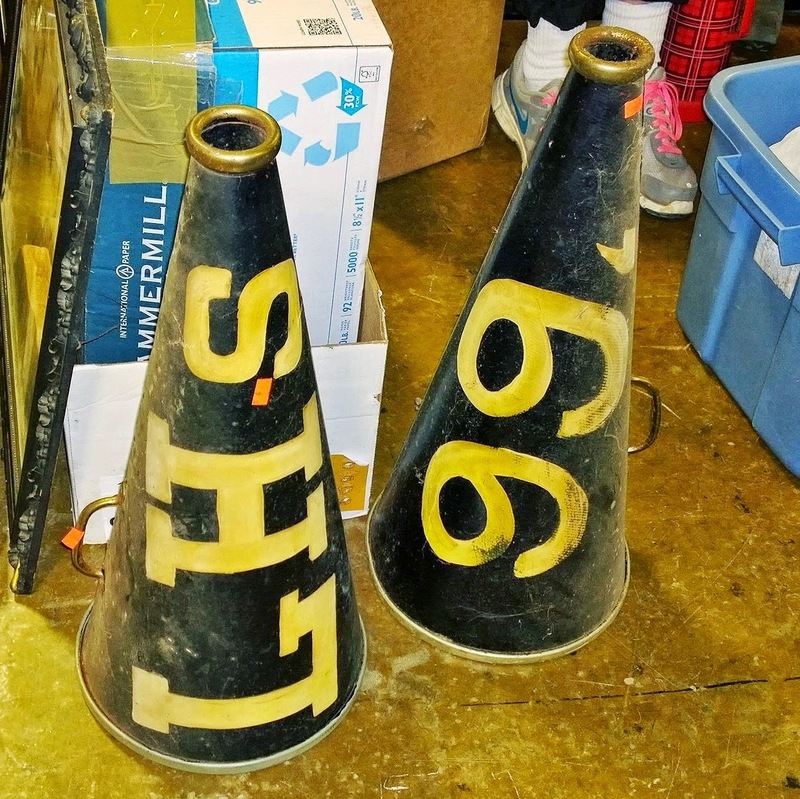 Melissa of Melissa's Antiques went to an auction and hauled in these vintage high school megaphones. Since I was a cheerleader in high school, these touched a heart string! "Three Cheers for Melissa!!" Now it's your turn. Let's Talk Vintage! Jill, ohmygosh those little dresses from vintage linens are the best! 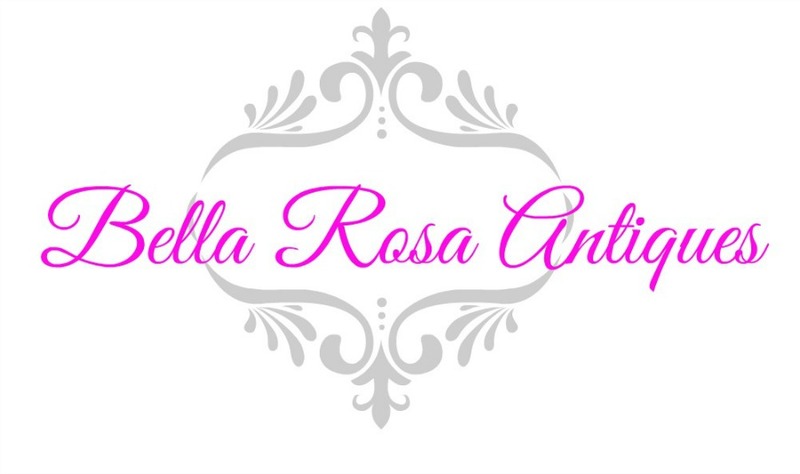 My sisters and I specialize in vintage linens - what a great upcycling idea! Thanks for the party, love seeing these ideas and finds! Thanks for the feature! 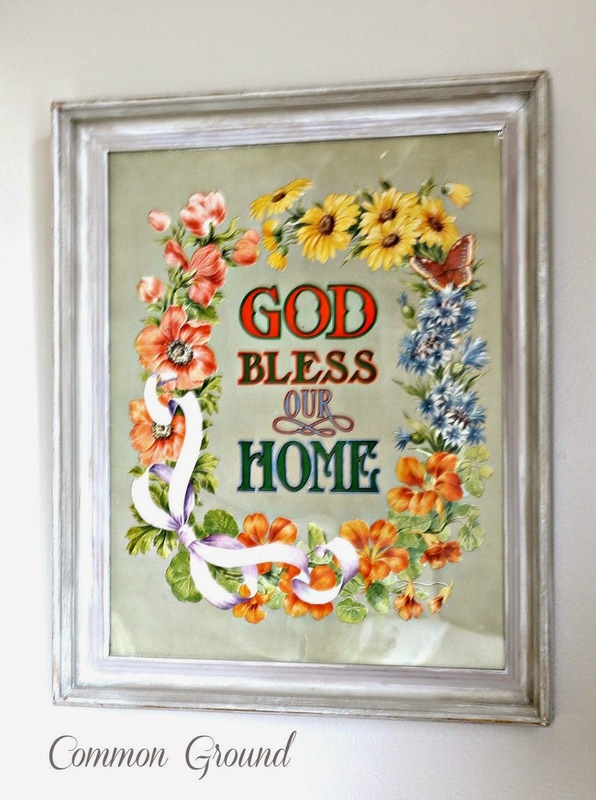 No junkin finds for me this week - but an awesome tutorial instead! Hi, Jillian, what a nice surprise for Monday lunch - a party! 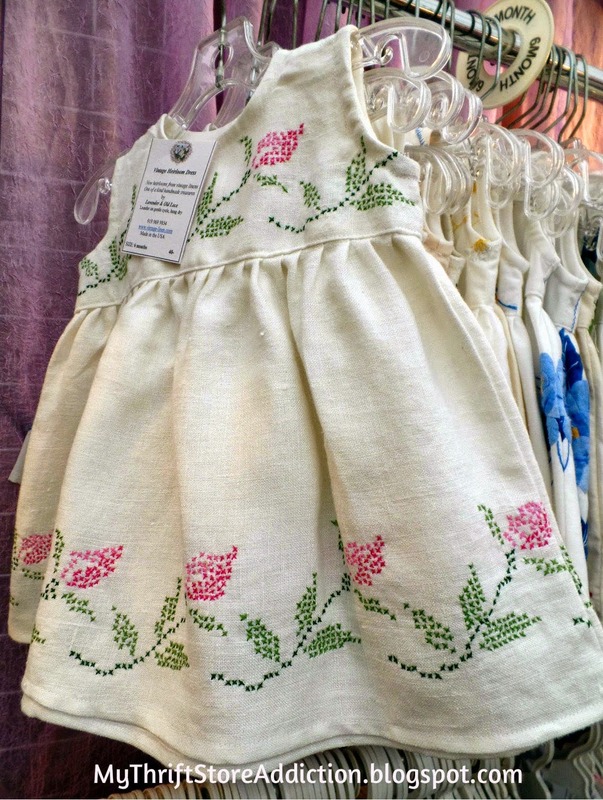 Love the little dresses from vintage linens. Have a great week! Oh yes! I'm loving those little linens dresses too! Great choice. Those little dresses are adorable! It has given me some ideas of what to do with some of the old linens I have. Melissa's megaphones are sweet!! Thank you Jillian for Lets Talk Vintage 27. Sweet features this week. Thanks so much for hosting Jillian. Those little dresses are so sweet. Hi Jillian, Thanks so much for the feature. Those baby girl dresses were my favorite too and only baby boys in my family, haha! Hi Jillian! So glad you popped by! Thanks so much for the invite. I just linked up. Jillian, I loved all three of your features! Melissa's megaphones are awesome! Thanks for sharing with SYC.